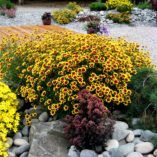 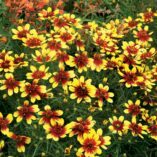 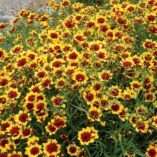 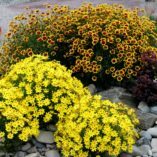 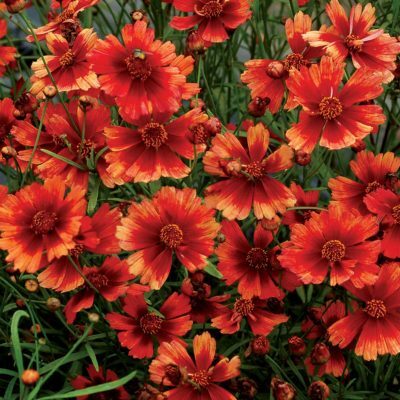 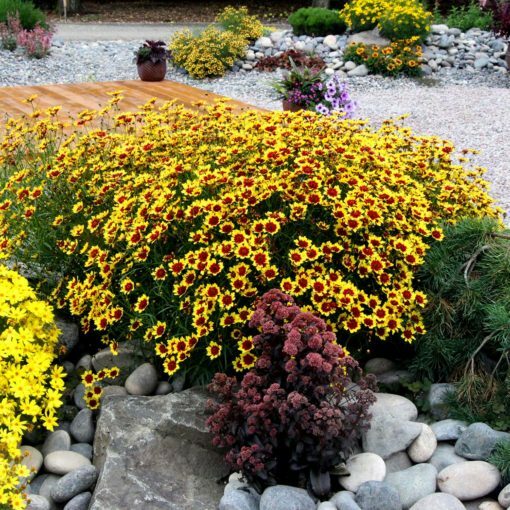 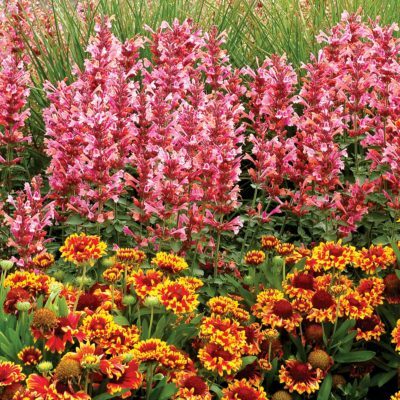 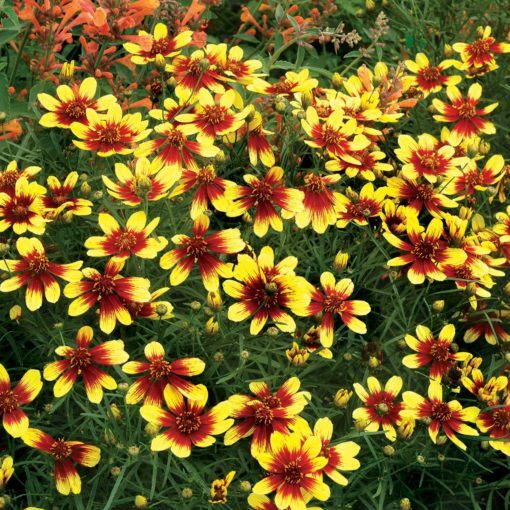 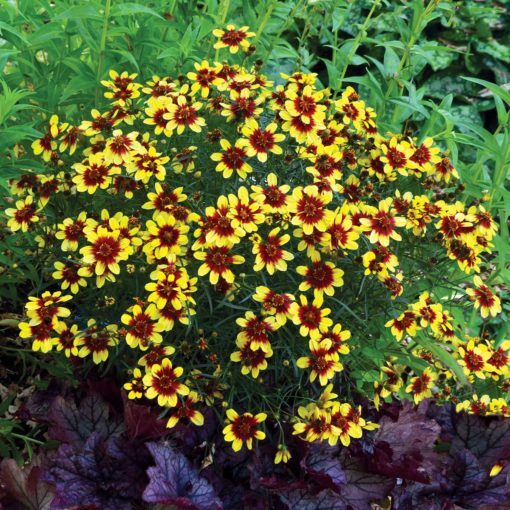 Coreopsis ‘Bengal Tiger’ | TERRA NOVA® Nurseries, Inc. 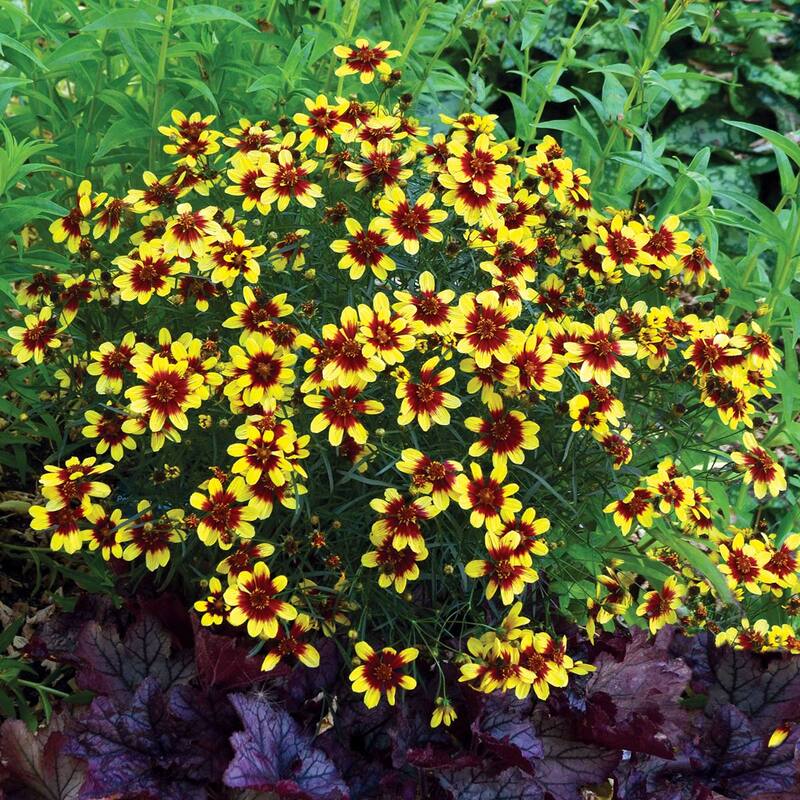 Fiery flowers glow red and gold, like tiger eyes, on this gorgeous garden STAR. Extra hardy Coreopsis verticillata breeding makes this a star for every area of the U.S. 'Bengal Tiger' has a clean, manicured habit and feathery, mildew-resistant foliage that brings our breeding program up a notch against the competition. 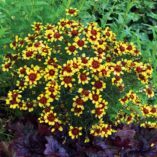 A constant performer for garden and containers. 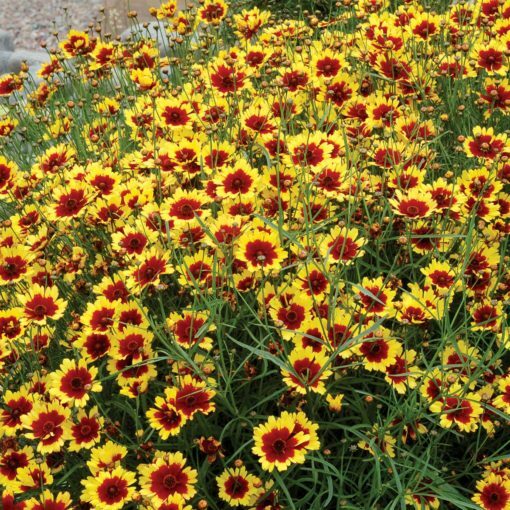 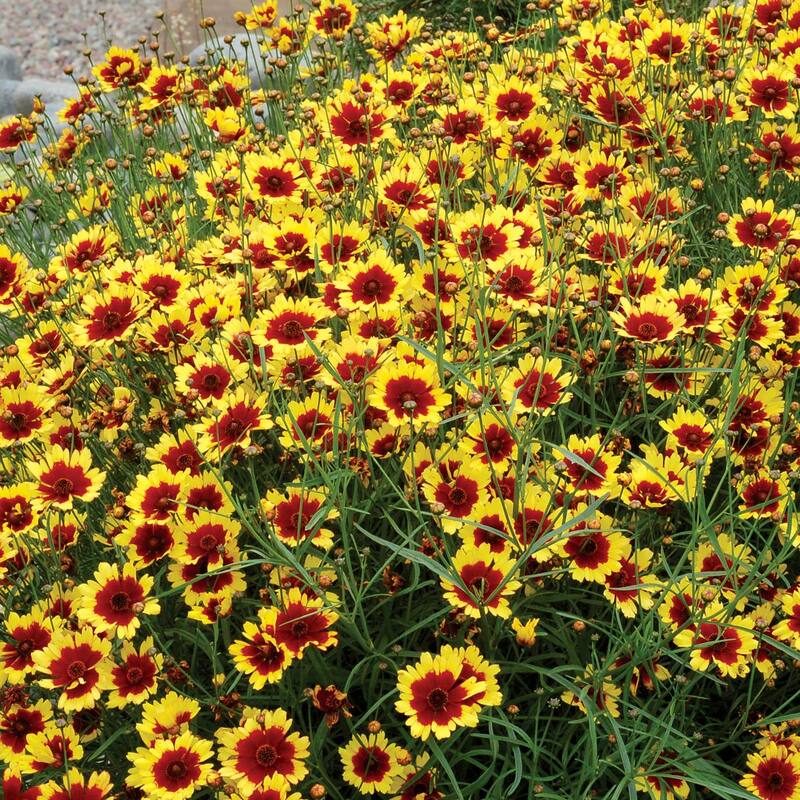 20" / 24" / 22"
Compared to Coreopsis 'Route 66', 'Bengal Tiger' is much shorter with flowers that are yellow with clear red eyes rather than creamy yellow with a rose red that bleeds into the creamy yellow. 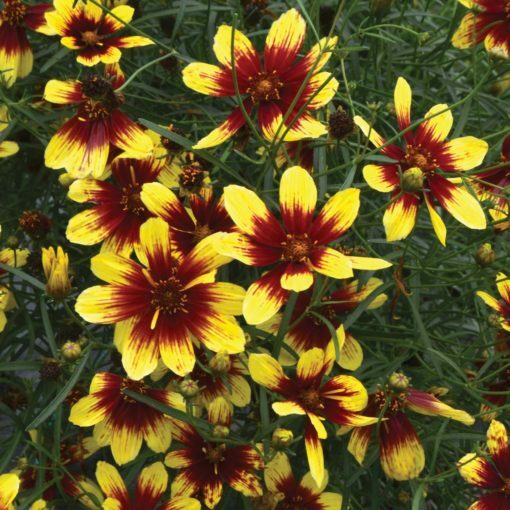 Both are Coreopsis verticillata hybrids. 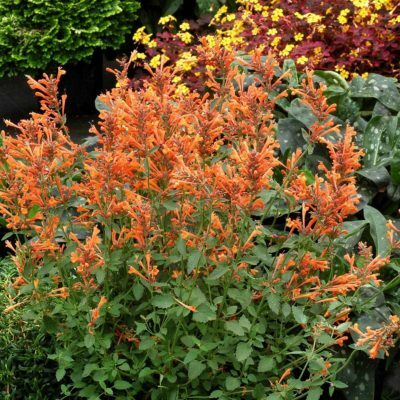 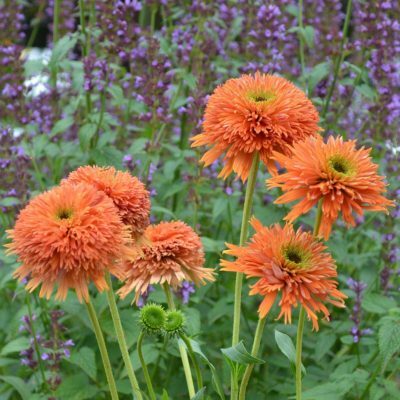 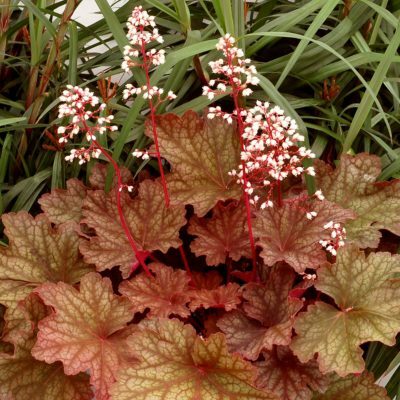 Use in the sun garden in mixed beds and borders.